In other words, he was saying the Bible is one complete book, not two. In the Old Testament are all the beginnings of what we believe and what would eventually be revealed in all its fulness, with the coming of Jesus and the writings of the New Testament. Recently, I have gone back to consider those words of wisdom. Many people view the Bible today incorrectly as though it is two books (Old Testament and New Testament) and as though there were two Gods (The God of the Old Testament and the God of the New Testament). More than three times as much is said about grace in the New Testament. However, grace was there in the Old Testament, if you look for it. Even before the law was given to Moses. Genesis 6:8 declares, ‘Noah found grace in the eyes of the Lord.’ Moses, likewise, reminds the Lord, ‘You (Lord) have said, “I know you by name, and you have found grace in my sight.”‘ Even at the time of receiving the law, Moses recognized that he had received the grace of God. God’s dealings with Moses were based on grace not law. Moses knew that and went on to say, ‘Now therefore, I pray if I have found grace in Thy sight, show me now your ways, that I may know You and that I may find grace in your sight.’ Even when God was giving the Ten Commandments of the Law to Moses, at a crucial point in history, He did so because of grace. This does not mean there was no grace before Jesus (we saw already that was not so), nor does it mean there was no law after Jesus came (see Jesus’ words, ‘Do not think that I came to destroy the law or the prophets. I did not come to destroy, but to fulfill.’ Matthew 5:17) The meaning is in the word ‘fulness’ which is the Greek word ‘pteroma’ meaning the sum total (i.e. In this case the sum total of all that is God was revealed to us in Jesus Christ, God’s son). There is a concept that has been helpful to people, to bring this together, namely ‘progressive revelation.’ This is the idea that Christianity is a historical religion and that God over time has revealed more and more of Himself to man through the prophets and apostles, in both the Old and New Testament and, in particular, though the coming of His son Jesus, who was the ultimate revelation of God to man (see John 14). In the midst of all this was an ever increasing revelation of His plan for the life and salvation for the people He created. God didn’t change across the years and certainly didn’t change from the OId Testament to the New Testament. He is the same God throughout the Bible. There is only one God. This brings up an important attribute of God. Simply stated, immutability means ‘God does not change.’ Malachi 3:6 states, ‘For I am the Lord, I do not change.’ Why? Because that is His character, His essence. He is not like the weather, that can change from day to day and certainly not from the Old to the New Testament times. God is God and always will be. He is always holy, always merciful, always just, always loving, always good, always righteous, always full of grace and truth. In all of this He is who He is: He is God. Get the big picture. There is only one God. He changeth not and the God of the Old Testament is the God of the New Testament. Love the whole Bible, because we need the whole word of God to fully discover who God is and His plan for both salvation and our lives. Remember . 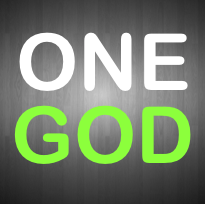 . . there is only one God! ‘In the Old is the new concealed. Historical Footnote – Marcion was the son of the bishop of Simope, Pontus (in modern-day Turkey). Around 140, he traveled to Rome, where he was welcomed by the church, but by 144, his views had gotten him into trouble, and he was excommunicated. Among other troubling beliefs, Marcion taught that the God of the Old Testament was legalistic and wrathful, a fundamentally different being from the gracious and loving God of the New. He rejected the authority of the Old Testament, and also attempted to liberate the church from all law. He believed the only way to do this was to rid Christianity of all traces of Judaism. Marion ended up creating his own Bible, which included only a shorter and earlier version of the Gospel of Luke and ten epistles of Paul. Marcion also edited these books. For example, he cut all Old Testament citations from Paul’s letters.